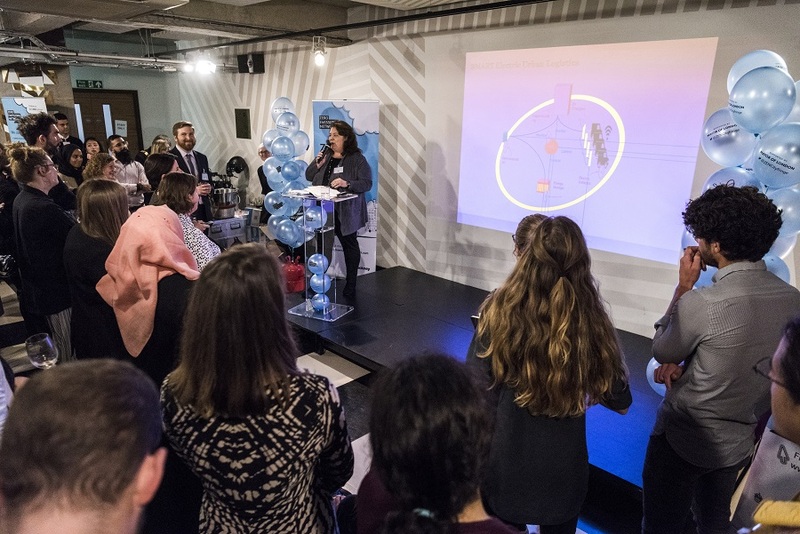 The Zero Emissions Network’s annual evening event is a business forum bringing together industry experts and business leaders to share knowledge, ideas and best practise. 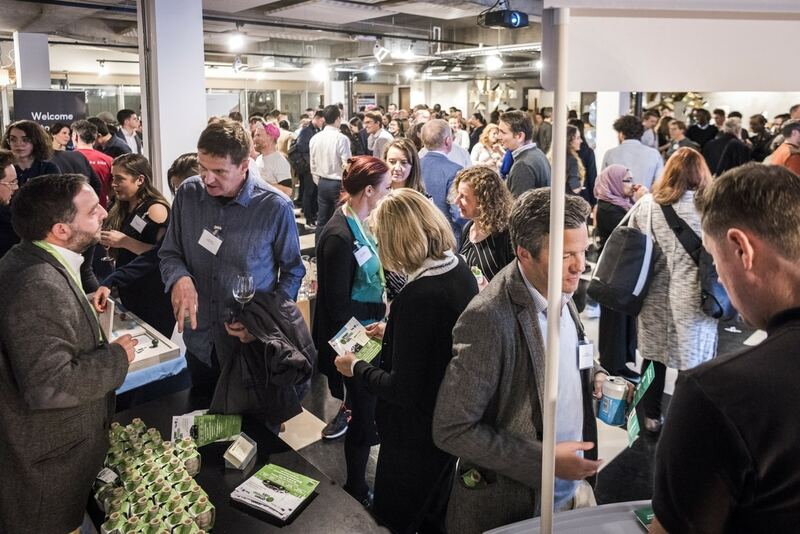 It's a space for attendees to inspire each other and re-think the way they do business and operate more responsibly. 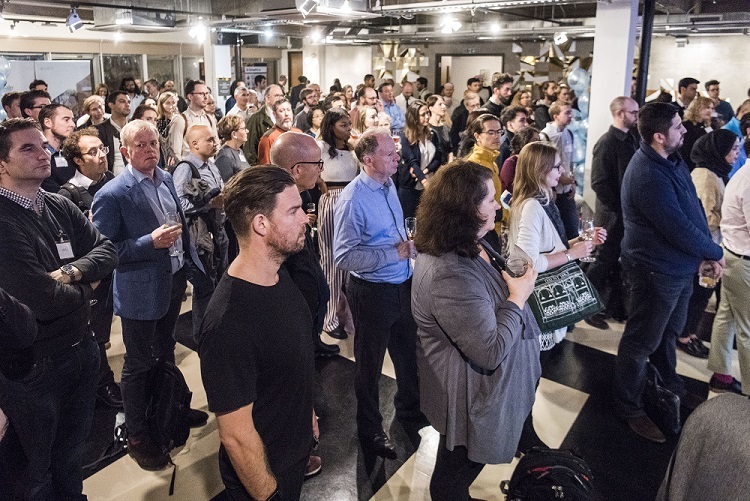 The latest event was held on 14 November 2018 at Old Street's iconic venue, The Trampery. 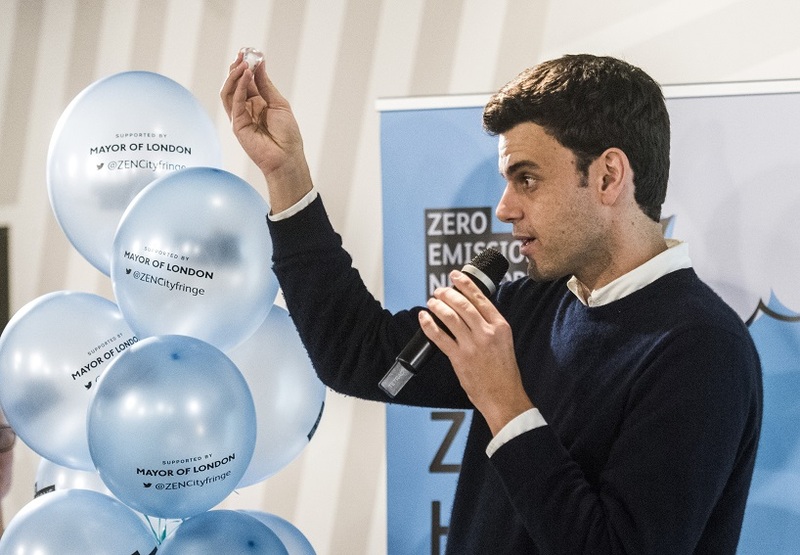 The evening marked six successful years of the Zero Emissions Network helping businesses and residents to reduce their impact on air quality across London’s City Fringe. 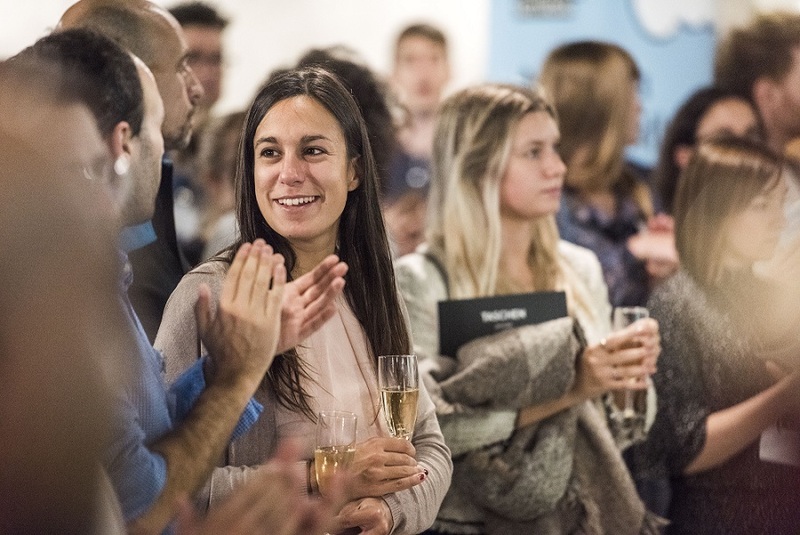 The evening was the most well attended event to date, with over 210 attendees. The key focus of the 2018 event was to address the question, “Is Sustainability Good for Business?." 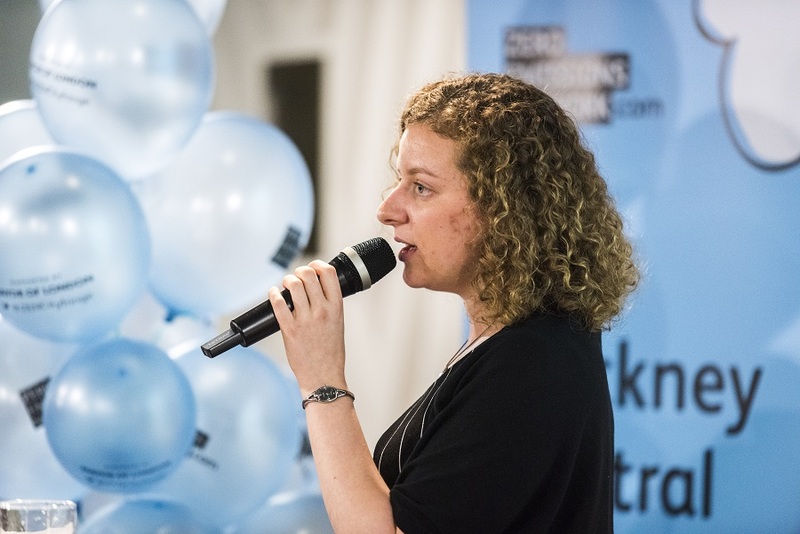 Guests heard from a number of riveting speakers including: global delivery company UPS, who talked about transforming their fleet and sustainable urban logistics and Skipping Rocks Lab, who spoke of cutting edge technology to help reduce plastic waste. 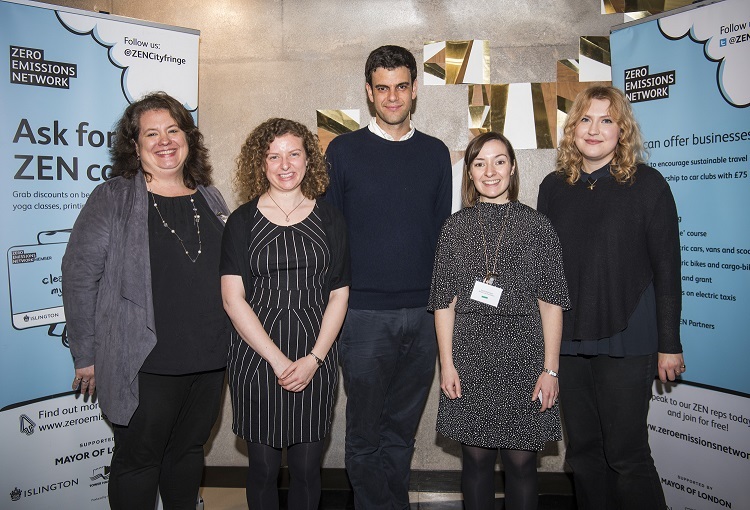 British Lung Foundation gave context on why air pollution is such a pressing health issue, while Paper Round shared insights into innovative recycling techniques. Each year, guests also hear from a member of the Zero Emissions Network and the work they have been doing to cut their emissions. This year, Grace & Thorn shared their sustainability story: transforming their floristry business with an electric van. Special guests included the Mayors of Hackney and Islington as well as Councillors Webbe, Race, Blake and Brady. 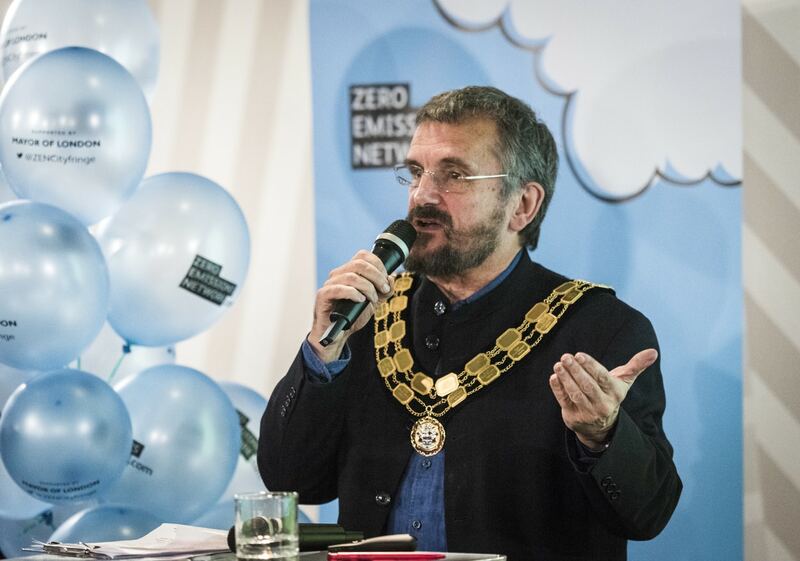 In his opening address, the Mayor of Hackney announced the launch of a new Zero Emissions Network in Hackney Central which will see the area transformed into a truly liveable neighbourhood. 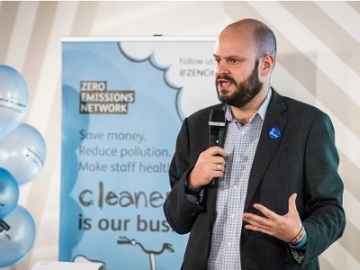 He also announced the release of the much anticipated Scooter Switch toolkit, which the Zero Emissions Network will use to enable fleet managers of large franchise companies to replace moped fleets with electric bicycles. 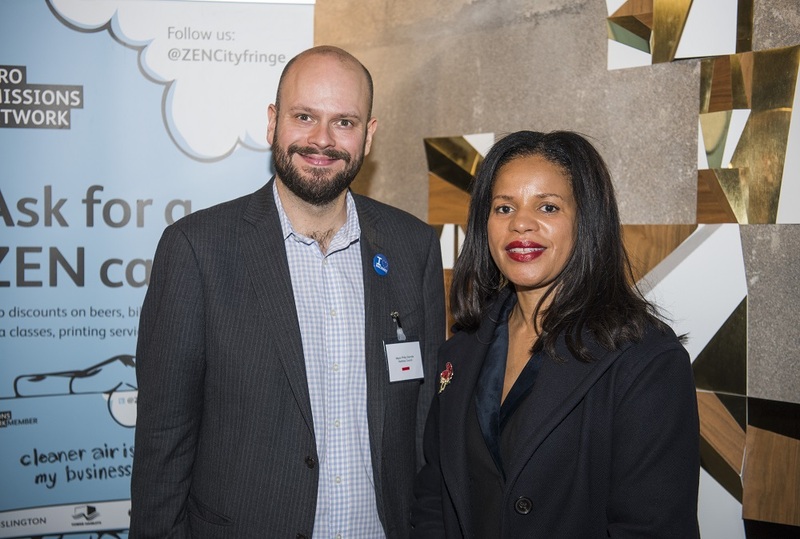 The Mayor of Islington shared an empassioned speech about the work being done to improve air quality in the borough through projects such as School Streets, Low Emission Neighbourhoods and collaboration with neighbouring boroughs. 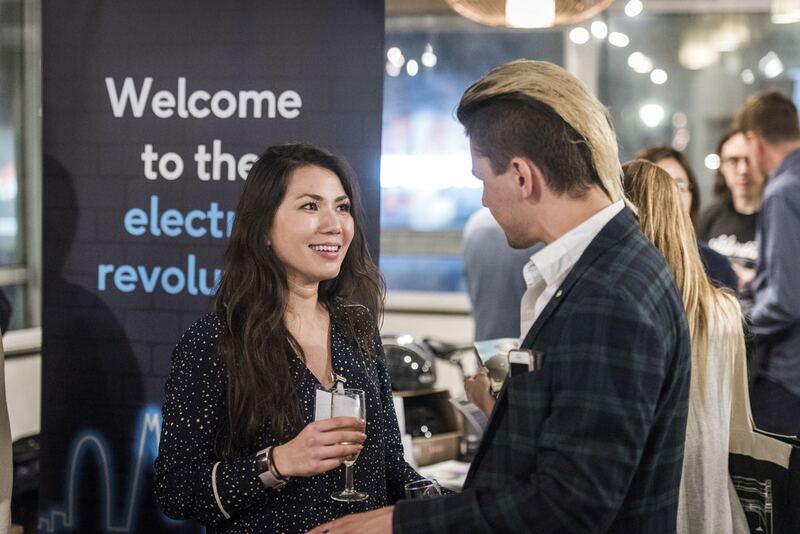 The annual networking evening is also a platform for project partners to connect with members of the Zero Emissions Network. 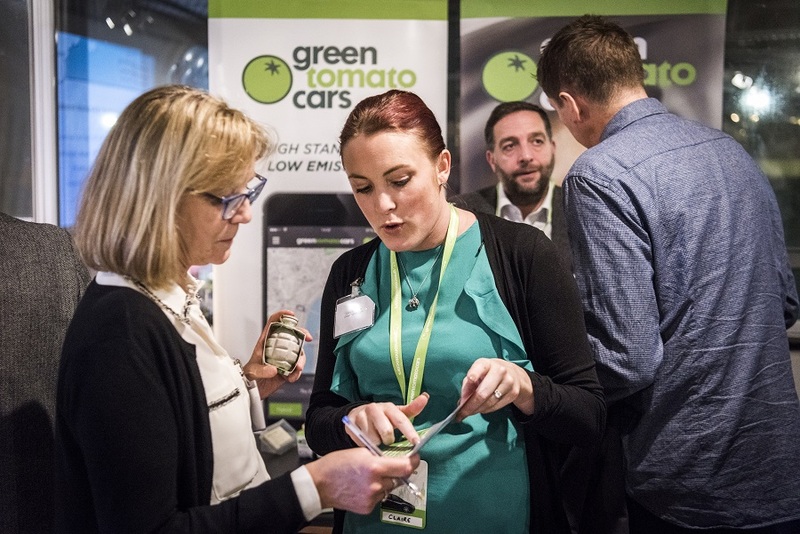 This year's exhibitors included three of the top car clubs in the UK: Zipcar, Enterprise and DriveNow as well as bikeshare firm Ofo and minicab firm Green Tomato Cars along with Velorution, Beryl, Cycloc and Zero Emissions Network’s franchise project: Archway ZEN. 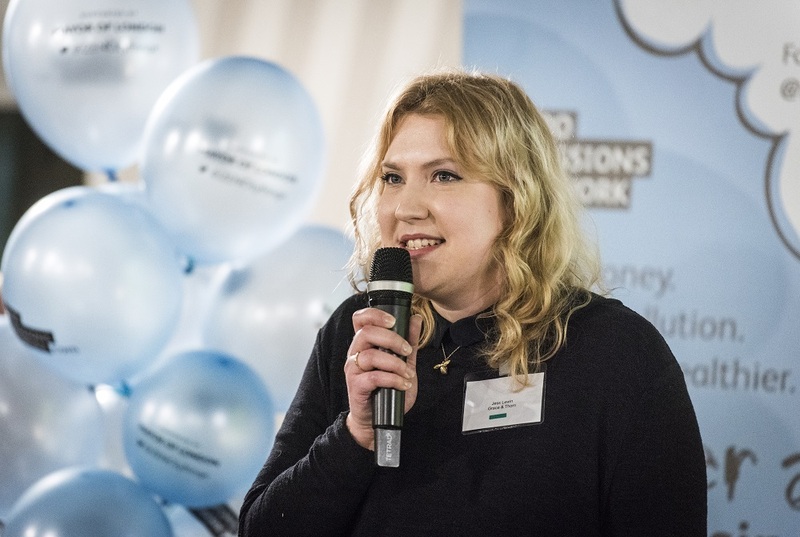 Since its inception in 2012, the Zero Emissions Network has continued to grow and expand rapidly, supporting the business community of Shoreditch, Clerkenwell and Spitalfields with expert advice and bespoke services on reducing emissions. 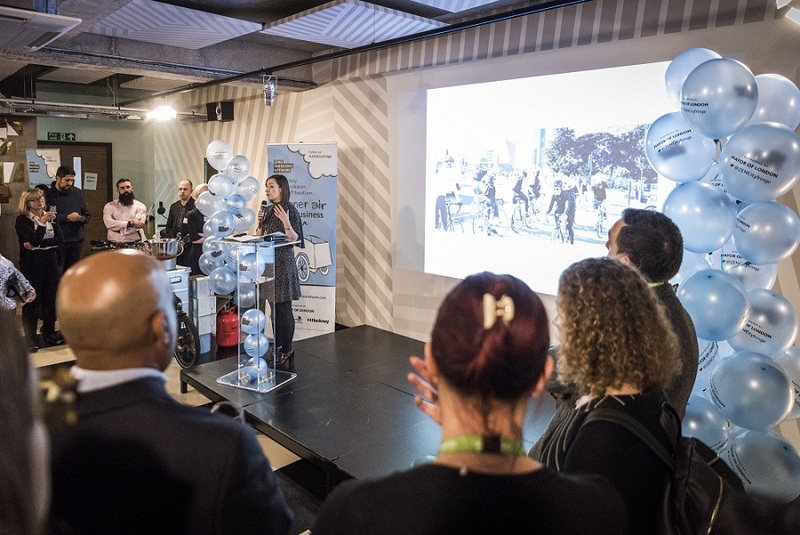 With over 1200 registered business members, ranging from small projects to multi-national corporations, the network reflects the diversity of the area; drawing on its greatest assets to tackle one of its biggest challenges: air quality. 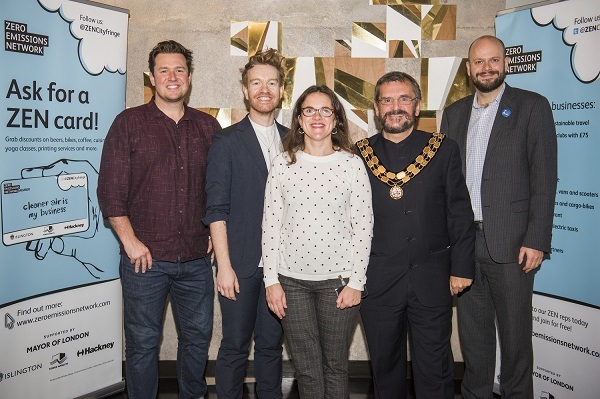 Members of the network have collectively completed over 800 emission-reducing measures; working together to reduce congestion, improve air quality and promote the City Fringe as an area committed to proving that sustainability is good for business.